We have all been there in our lives – Financial insecurity – It is not easy but can be managed and even overcome with the right tools. Budgeting is one of those tools that helps many individuals get and stay on the right track. Whether it’s due to a drop in income, a big unexpected expense, or the cost of everyday living overtaking your paycheck, there are steps you can take to get a handle on your finances – and your financial stress. The very first step is to figure out if your income covers all of your current expenses. An increase in expenses or a drop in income usually means a change in lifestyle. The sooner you look at your household budget, the more options you have and the better off you will be in the long run. Once you have a better understanding of where your money is going, it’s time to look at ways to make the best use of your hard-earned dollar. Sometimes it is just time to give your finances or budget a check-up. Just like our bodies need a check-up, so do our finances and budget. 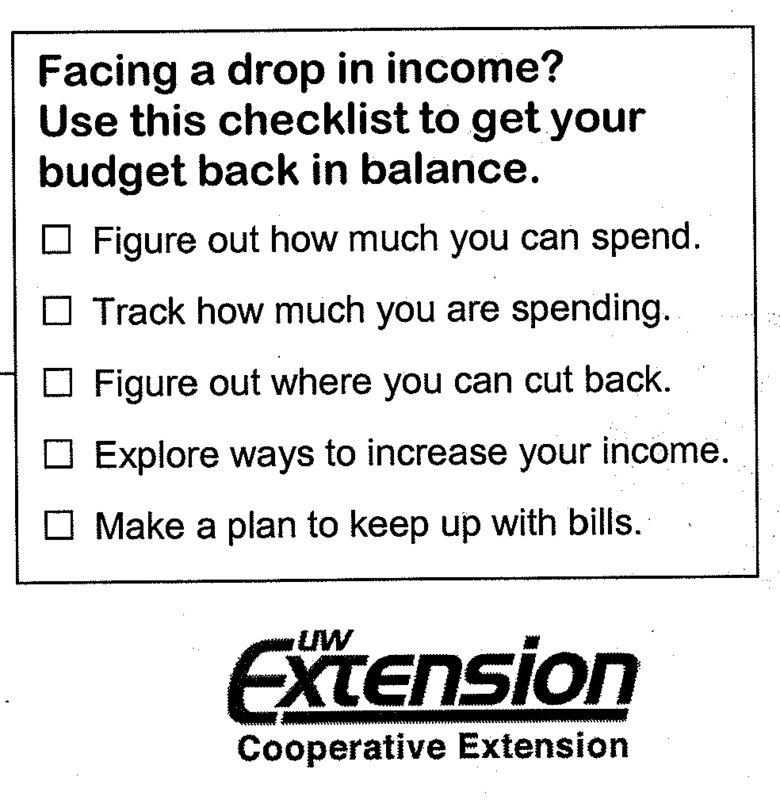 To make it easier for people to monitor their financial well-being, UW-Extension educator Gail Peavey, Family Living Agent for Polk County UW-Extension is continuing with the “Check Your Free Credit Report Campaign: 2/2, 6/6, 10/10,” reminding people to view their three free reports each year on Feb. 2, June 6 and Oct. 10. 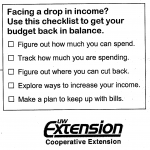 “2/2, 6/6,10/10 is an easy-to-remember set of three dates,” says J. Michael Collins, UW-Extension family and consumer economics specialist and director of the UW-Madison Center for Financial Security. “Each represents a day to set aside five minutes to pull one credit report from one credit bureau.” Consumers are responsible for checking the accuracy of their credit reports, which are prepared by the private firms Equifax, Experian and TransUnion and sold to other businesses. Sticking to the exact dates–2/2, 6/6, 10/10–maximizes the chances that people will consistently monitor their credit over time, says Collins. The only website that provides the free credit reports you are entitled to by law. Completely free and does not require you to subscribe to any services. Other websites charge for similar services and may even be spam. Secure and safe, and only asks for information needed to verify your identity. Be careful of spam emails and websites that imitate AnnualCreditReport.com. Other websites that claim to be free often charge monthly fees of $15-$20 after a short trial period. Previous addresses from the past two years – We recommend having this information ready before starting and not relying on memory if you have moved several times. Entering wrong addresses can delay the process. Requests by mail may take 2-3 weeks for delivery. “Much like campaigns to get a medical check-up or a flu shot, our goal is to help people save money and improve their financial health,” says Gail Peavey.